Recently I’ve been thinking to review products and give tips about what I use daily in my workflow, and introduce tools and programs that sometimes don’t go outside the Japanese market, hoping to be useful to someone. Like many other creative artists out there, I know the struggle to find informations on alternative tools, or other different use from the one they was made for, especially in our workflow. Sometimes I found how to use these tools (Scigor on Presonus) in some alternative ways. But we’re all trying to make do with the next best thing, especially when we cannot find the right tools for our creations, or are too expensive and limited to our vision. There is no limit to man’s ingenuity! I understand that. I’ve been there (and I still am) trying to get any infos I could, looking at other great artists (thanks internet!). And many times I found my way littered with unsuccessful attempts. 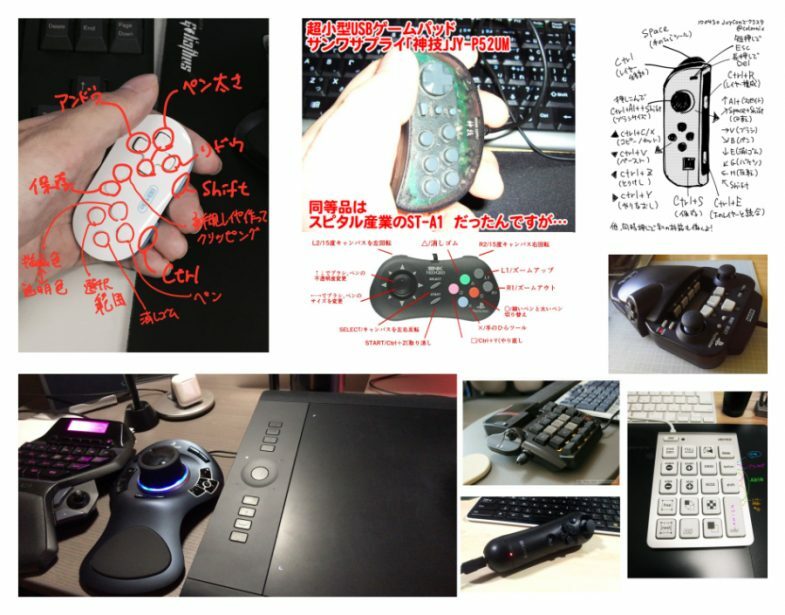 Good thing I live in Tokyo, where DIY It’s very common among Japanese artists; like Redjuice who builds and modifies game controllers for his custom shortcuts in Clip Studio Paint, or Yoshikatsu Hamada who is continuously changing its studio, piece by piece (but still use Win XP)! And there are many other! So I thought I’d write some reviews about products I use, and about interesting new things that come out. Each review will be open to your suggestions and advices. 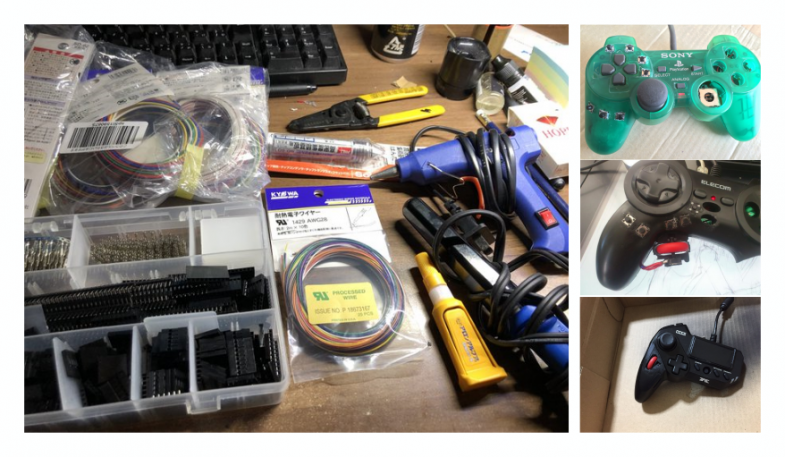 I will also try to deep on hardware customization, and play with software setup, possibly finding different solutions for specific needs (and for fun). 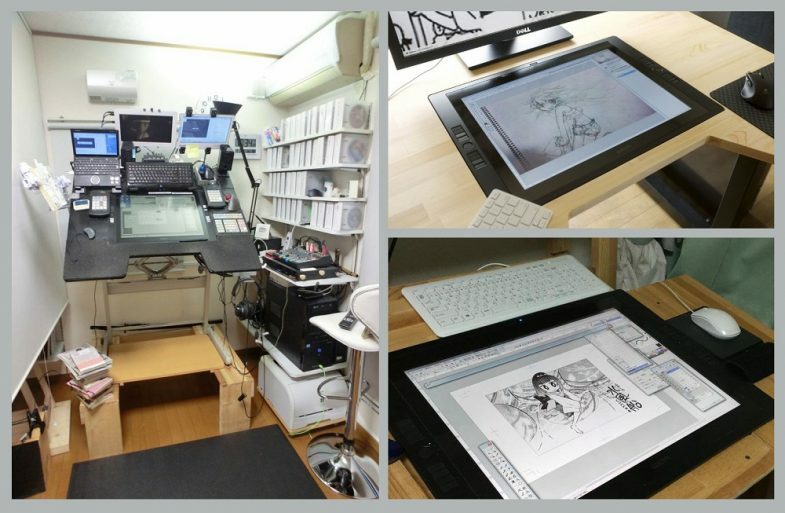 Hamada sensei “transformer” workshop, and other artists who took example from his setup. I will start soon with the review of a product just released in Japan (and already sold out), the Clip Studio Tabmate from Celsys, a device born to have handy shortcut on one hand, when we work along with pen tablet. With planned ad-hoc shortcuts, we virtually would no longer need to touch the keyboard anymore! If you like this kind of reviews and you want help me to do more, please consider subscribing and support my content on PATREON. – which is being updated. I get not paid to review this products or endorse them, my reviews are unbiased. I paid full price for this products, but In the case of products offered to me free of charge, I’ll be sure to notify it clearly and I commit myself to be as impartial as possible. After all, a fake review isn’t useful to anyone!